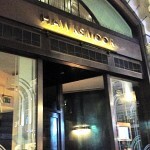 The group behind the three Hawksmoor steak restaurants (Guildhall, Seven Dials and Spitalfields) have opened their new operation in an Air St site that has traditionally seen restaurants fail and fail quickly. You have to go back to 1995 when Bruno Loubet ran the site as the urbane brasserie L’Odeon for it to have been seen as anything approaching a destination. But the Hawksmoor team have a strong track record and their mini-chain of butch British steakhouses have struck a chord with critics and punters alike. This iteration of the brand has an extensive seafood and fish menu, devised in collaboration with piscine specialist Mitch Tonks of the The Seahorse restaurant in Dartmouth, Devon. However confirmed carnivores shouldn’t panic because the scallops and Dover Sole are served alongside their usual steak offer and meat treats such as Potted beef and bacon with Yorkshires, Grilled bone marrow and Tamworth belly ribs. After a glass each of Alain Thiénot Brut non-vintage fizz (£8.50) , showing a powerful nose, biscuit and orchard fruit flavours and a long finish, her ladyship and The Hedonist investigated the scallop end of the menu. To accompany our bivalves we moved onto a Muscadet 2010 Clos de la Senaigerie Luc Choblet (£8 for 175 ml) that combined good acidity with plum and melon flavours. Roast scallops with white port and garlic (£14) were perfectly cooked and delicious-an uncomplicated treat. 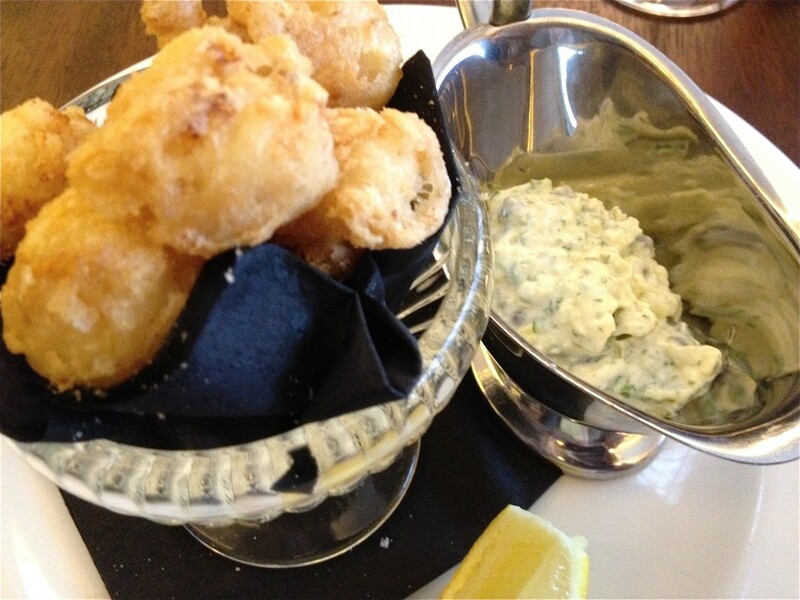 Fried Queenies with tartare sauce (£8). 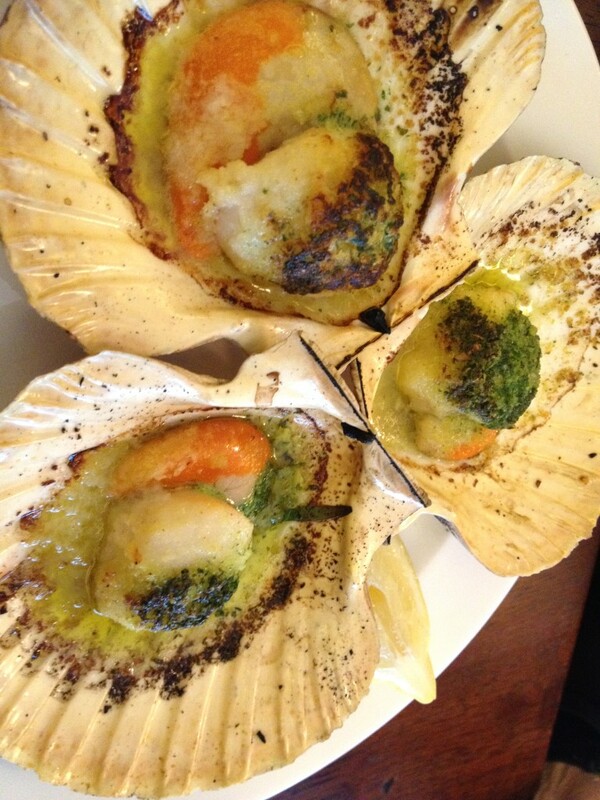 Queenie scallops are all the rage at the moment and the Hawksmoor Queenies have received rave reviews. 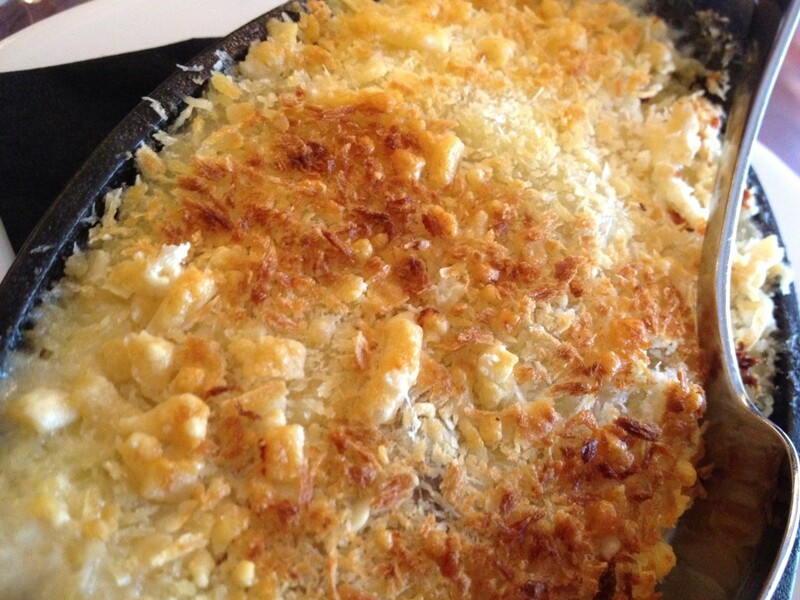 The batter and tartare sauce are perfect but overwhelm the delicate taste of the scallops. 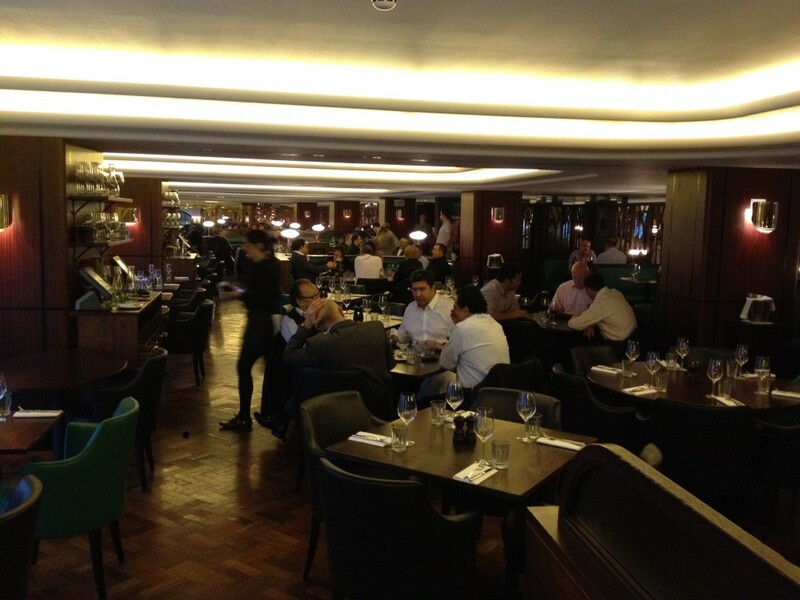 At Hawksmoor the steaks are cooked South American style on a charcoal grill. 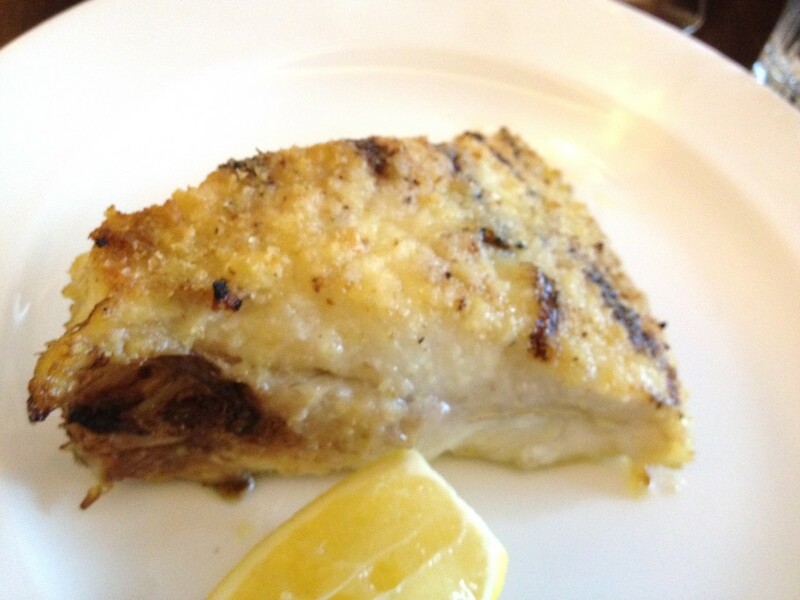 The use the same cooking medium for the Turbot Hawksmoor cut grilled over charcoal (250g £30). 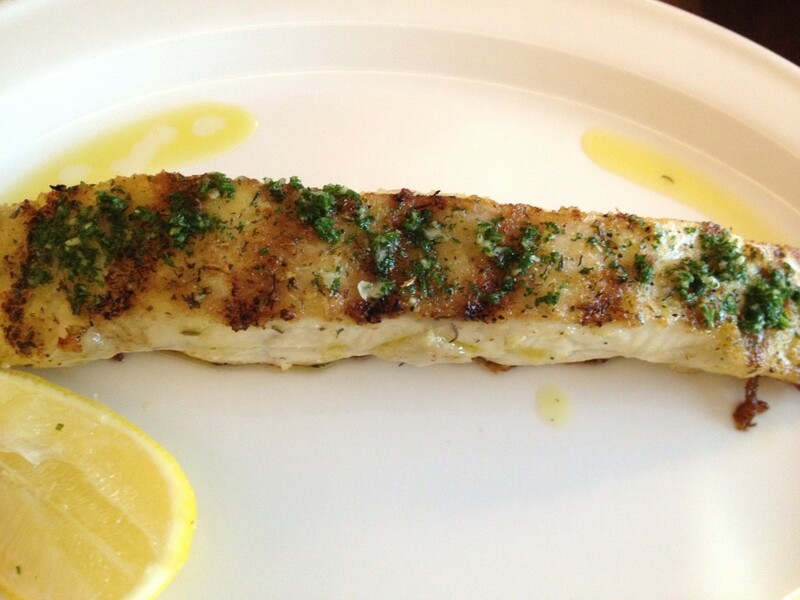 A beautifully cooked piece of fish. Desserts at Hawksmoor were suprisingly playful riffs on teatime favourites. 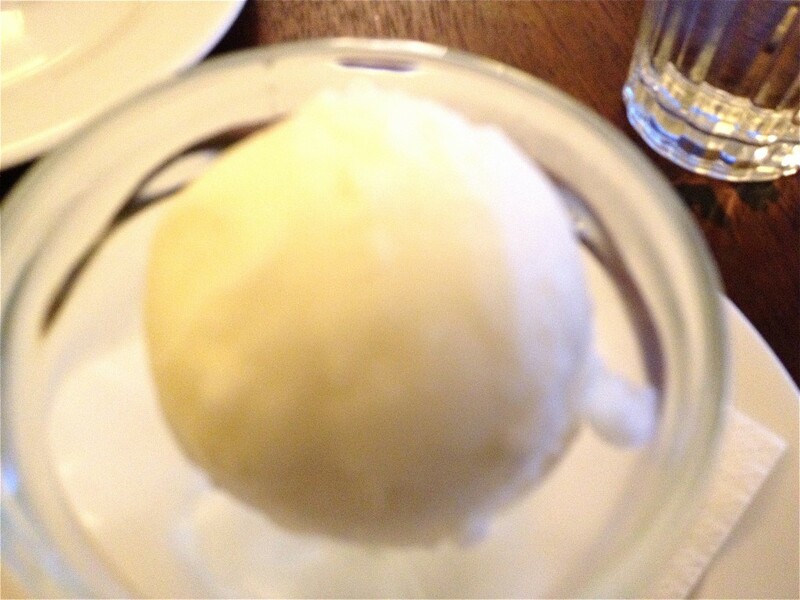 A scoop of Granny Smith sorbet (£3) was crisp and refreshing. 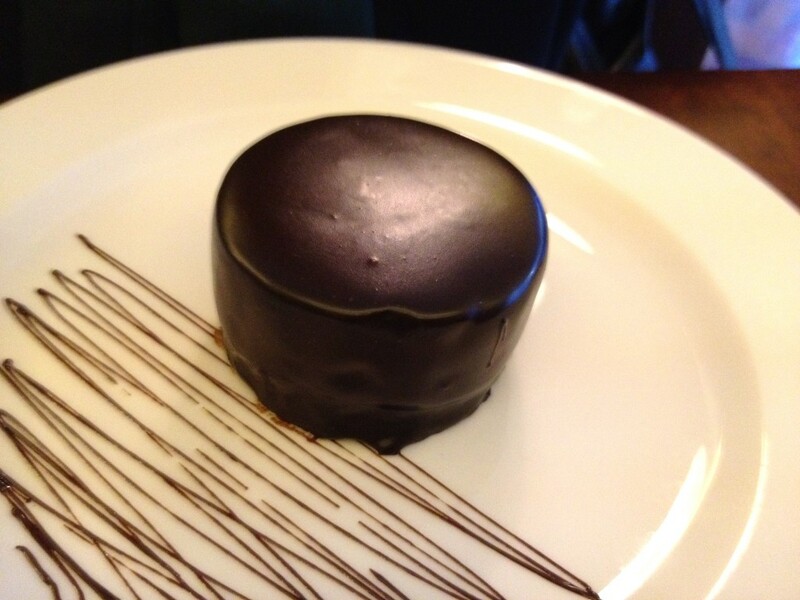 A Hawksmoor Jaffa Cake (£7.50) came on like a sexed-up version of the original-a dark and seductive come on of chocolate, hazlenut and orange. 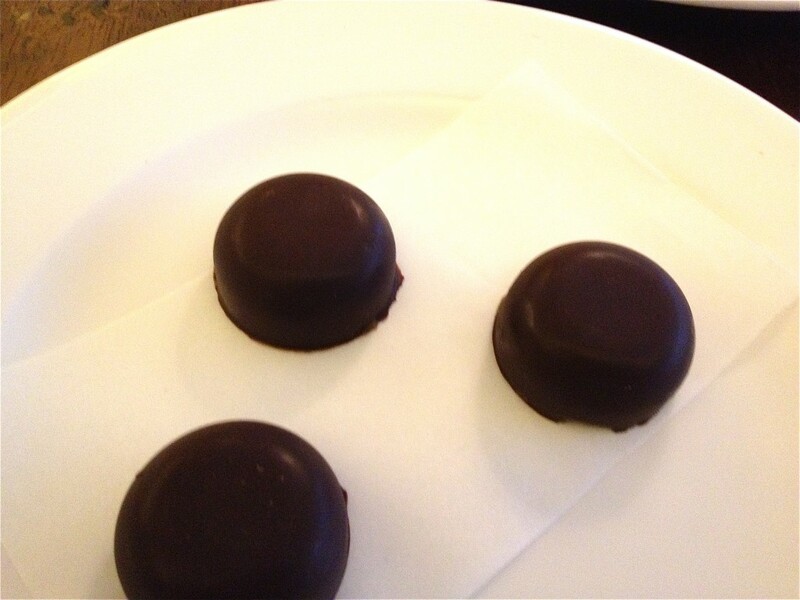 Salted Caramel Rolos (£3.50) were three tiny clusterbombs of pleasure. The crunch of the bitter dark chocolate being enveloped by the salt sweet of the caramel oozing over your tongue. Filthy and delicious. Will Beckett and Huw Gott, the brains behind the Hawksmoor team run a pretty slick operation-simple but well delivered food, a really strong cocktail and wine list and friendly, efficient service. This no nonsense approach has clearly struck a chord with the men in suits whose trade drives much of London’s restaurant scene, but the whimsy of the dessert menu speaks of a more frivolous heart beating behind the sombre exterior which can also speak to committed flaneurs such as The Hedonist.